Beautiful is a creative is one of my favourite designs, it features hand painted watercolour graphics in 6 colours. The options include brush strokes, clouds, large and small flowers. The main menu is a ribbon and the site is FULL of little painted details that make it really special. We have created a bunch of borders for your own photos so they blend seamlessly into the website design. Beautiful WordPress theme is easy to setup and comes with a great set of features. The graphics in this theme have been hand painted by our in house artist, you cannot get more unique than that! 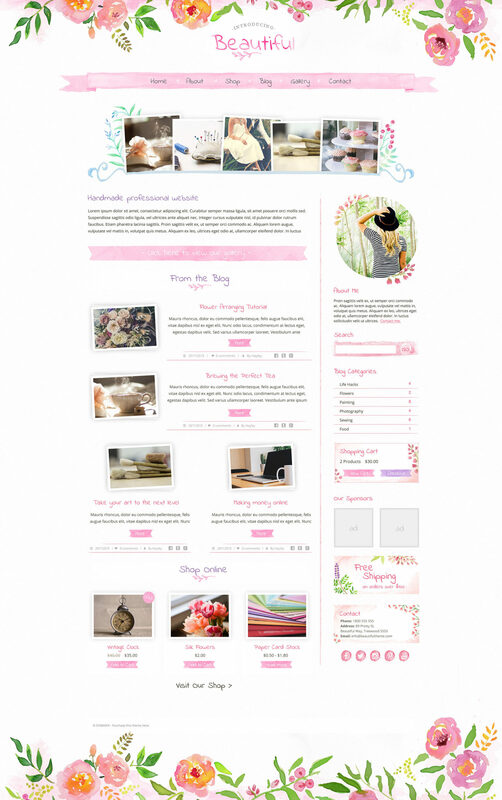 This theme is perfect for your online creative shop, blog or company website.